Will the CMA&apos;s service quality rankings encourage people to switch banks? October 26, 2018, 2:46 p.m.
From August 2018, banks must publish information of how likely their customers would be to recommend them in their branch windows and on their websites. This is part of the Competition and Markets Authority’s (CMA’s) initiative to encourage more competition and switching in the market. But to what extent will this encourage people to actually switch banks? 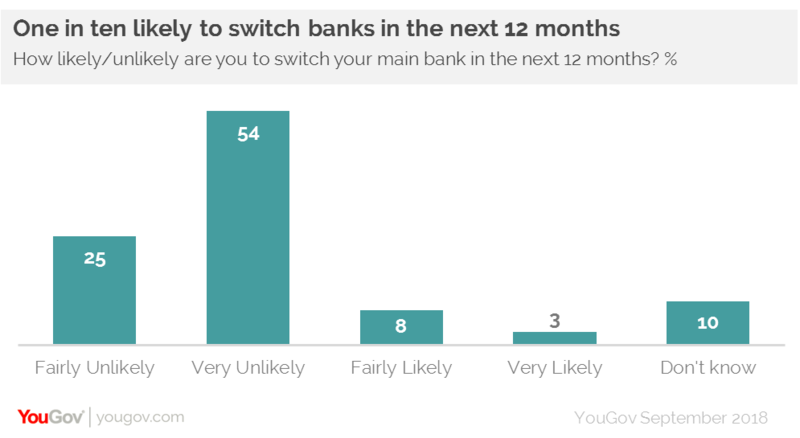 New YouGov data reveals that high-levels of satisfaction with banks is a barrier to increased switching. Our study shows that seven in ten (71%) are satisfied with their main bank, against just 9% that are dissatisfied. Aligned to this, one in ten (11%) are likely to switch their account in the next 12 months, but the majority (79%), are not. YouGov also considered the specific reasons why consumers are either satisfied, or not looking to switch accounts. A third (33%) say they are happy with the products and services they receive from their current bank. A further 12% say they’ve been with their current bank for a number of years and consider themselves a loyal customer. Added to this, 10% say there is not enough incentive to warrant switching banks, while 9% believe there is no point as all banks are the same. 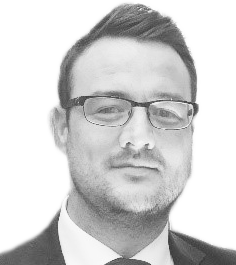 Will the CMA’s league tables change behaviour? YouGov explored whether a bank’s position on the CMA’s rankings would affect a customer’s inclination to switch. We found that for 38% it would make no difference, while 35% said they would be somewhat more likely to switch. One in seven (14%) said they would be much more likely to switch. 14% said they didn’t know. Of those not likely to switch, seven in ten (71%) would not be concerned if their banks was placed towards the bottom of the league tables because they would make a decision based on their own experience, and their own satisfaction levels. It’s no surprise that the percentage of people considering switching banks in the next year broadly correlates to the percentage that are dissatisfied with their current account provider. While dissatisfaction levels are relatively low, it is tough to envisage a huge uplift in the number of people switching banks. That being said, our results should encourage the CMA. While it may be too early to conclude whether this latest initiative will have the desired impact on the market, these findings suggest that it could certainly help to ‘oil the wheels’ by making consumers more tuned-in to the levels of service they currently receive and could be getting elsewhere.